The Manila Kimonos Gi is a Gi that really hits a homerun in regards to its execution. With beautiful embroidery and seam tape the Gi stands out without going overboard. Be weary however, as the A3 is a little longer in the pants and the skirt than even I (at the bottom of the A3 spectrum and used to oversized Gis) am used to. I’d say the perfect height after shrinkage is 6’0″ or 6’1″. Although the chest/shoulder/arm girth did fit my frame of 195lbs very nicely. Purchase of the Manila Kimono includes: 1 x top. 1 x bottom. I am unsure if this was a full on production model but no Gi bag came with the Gi. No Shrinkage in the chest. A – No Shrinkage in the wrist. 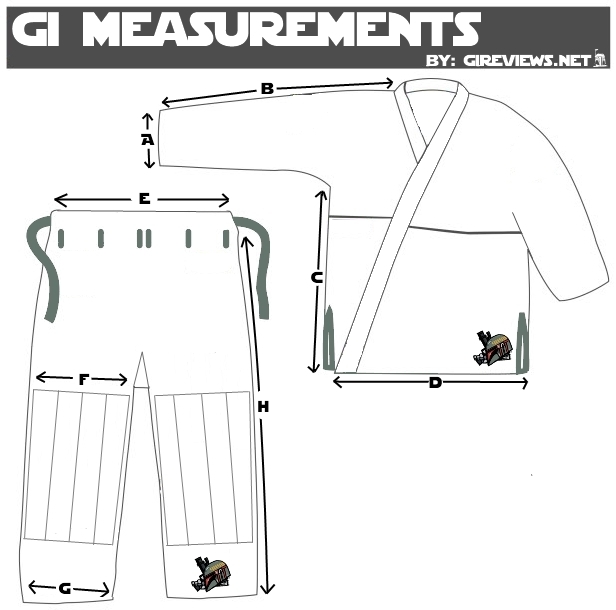 As I mentioned previously, the Gi is cut for someone with a longer torso. The slits on side of the Gi are very large but, unlike the Ezekiel “Jiu Jitsu” Gi, I can see these slits being larger making sense. As the jacket itself is longer the slits allow for greater mobility and are designed as to not restrict your legs. I really like the Lotus flower design you can find on both arms and the back of this Gi. Good care was taken in the embroidery of the flower. The writing above the flower however of “Manila” could use some work as the border around the inner text doesn’t always sit nicely on the letters. I also really enjoyed the seam tape on the otuside of the sleeves and the bottom of the skirt. A nice amount of flare without becoming too overpowering. The orange contrast stitching really does well to make this Gi “pop”. I had no issues with a flimsy collar or any scratching from the interior of the Gi. The collar is wrapped in ripstop. After three washes the Gi still maintained its deep black color, however the ripstop coated collar had begun to fade a small bit. It’s not a summer time light Gi by any means, but definitely not that heavy either. I would put it right in the middle of all the Gi’s I own. A nice year round choice. The pants are made of ripstop and have the same Manila seam tape as the rest of the gi at the bottom of the pant legs. The islands of the Philippines are beautifully embroidered on the left pant leg. Unfortunately due to my stubby legs the A3 pants were too long for me, on the bright side for the people that these DO fit, the crotch area is not saggy, which is something I can’t stand. The pants are held up by one loop on each side of the waist using a twill string. As with most ripstop pants they aren’t very breathable once they get soaked. If rip stops you’re flavor though, that’s nothing new to you. I also would have preferred a large area of coverage for the knee reinforcements. I must say that after reviewing quite a few Gis now that it seems that all of the Gis I have tested are always of good quality in terms of construction. This really is good news for BJJ practioners everywhere as it means competitiveness in the market is at an all time high. I’m seeing new brands pop up virtually every week some great new innovations to add to the industry. It’s a great time to be buying a Gi. With construction quality being something less to worry about it seems the main purpose of reviewing Gis is to point out the Gi cut, the materials used and the aesthetics of the Gi. As those are typically the deciding factor for people when purchasing a Gi outside of construction quality. It says a lot for the industry when start up and major Gi brands alike have similar construction quality. Getting a Gi that is cut wrong or too oversized/undersized can be a huge hassle and waste a lot of time/money sending a Gi back for another. Hopefully I can convey to the reader enough information to help them in their Gi selection process. That is always my goal. A Gi Drive for a charity who never saw the Gis, nor the money.